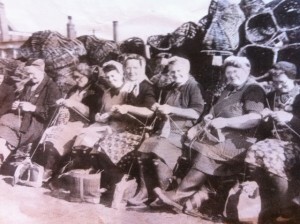 The knitting industry in Guernsey today is all but extinct. However there was a time when it used to be quite a sizable proportion of her GDP with the majority of her population involved in it in some way or another, both women and men. The knitting industry dates back to at least the 16th century with it reaching its peak during the following century. Wool was Imported from England by local merchants, and “put out” by middle-men to households for combing, spinning and hand-knitting into garments, which were then exported to England, France and later America. Mary Queen of Scots is said to have worn a pair of Guernsey stockings at her execution. 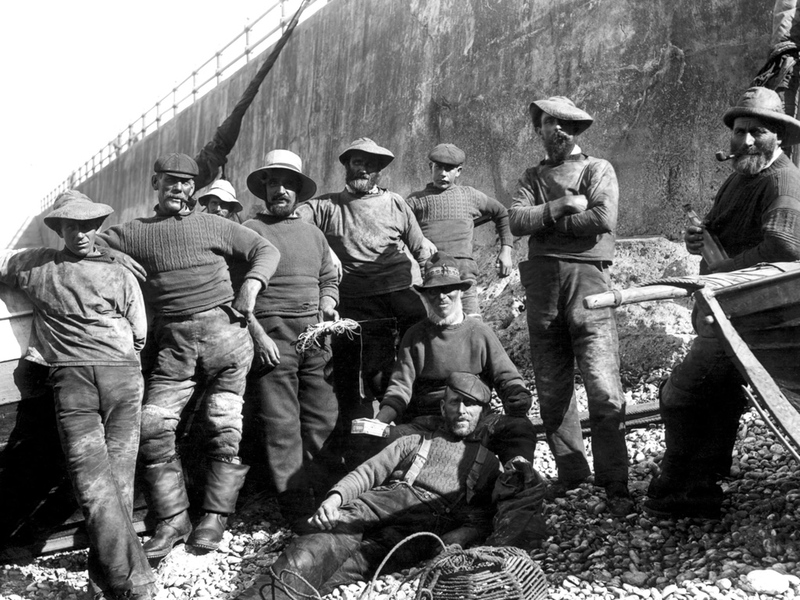 All kinds of goods were being produced : undergarments; waistcoats; gloves; stockings and of course the famous seaman’s knitted woollen sweater ‘the Guernsey’. Men, women and children were engaged in the industry. Sitting by the fireside of an evening after a hard days fishing or farming it is easy to imagine the menfolk knitting and earning valuable income in their ‘leisure’ time. Knitting was obviously more profitable than agriculture to the point where land began to become neglected and the farmers had to be “encouraged” back to the fields. “All the money that comes to the Island is out of the proceed of sale of stockins, which they [the Inhabitants] carry over Into France”. 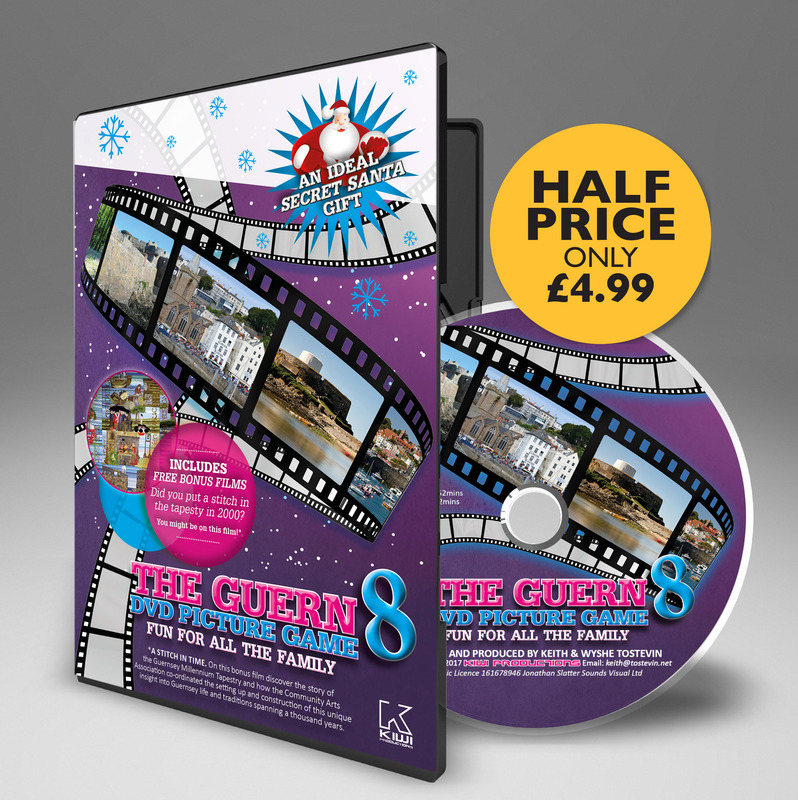 In times of war when trade was interrupted the effect on Guernsey’s poor could be profound. In 1627 in such circumstances the états arranged to buy up stockings from the plus pauvres de l’Isle, since they were “wholly destitute of the means to live”. It’s hard to imagine but the knitting industry had a moral and social impact on the island community as well as an economic one. It is impossible to say when the first “Guernsey” was made. Nelson was prepared to recommend a Guernsey smock as an article of naval clothing and there is also a reference to a Guernsey shirt in “David Copperfield” (1849) by Charles Dickens. 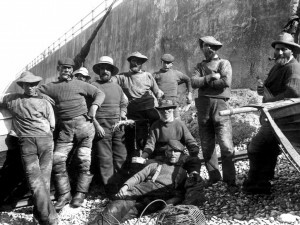 Late 19th century photographs of Guernsey fishermen certainly show a garment identical to the one we know today, so we know that it was well established by then. 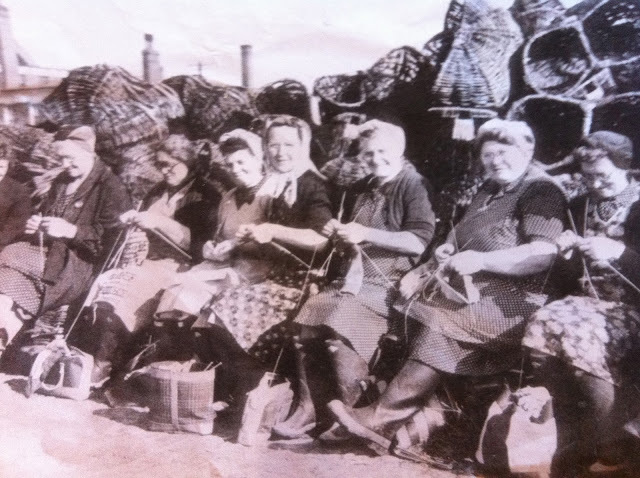 The knitting skills of local women survived into the twentieth century and the “Guernsey” became a popular casual garment for most Islanders. Clothing shops in St Peter Port retained hand knitters and one used to be able to obtain a made-to-measure example which took five or six weeks to complete, sadly not any more. The greatly increased number of tourists in the 1950s led to a bigger demand for “Guernseys” – and the hand knitters couldn’t keep up! For more on the Guernsey see our article “The Guernsey” – A Knitwear Tradition. A cottage industry using domestic knitting machines was set up by a Mrs Renouf at L’Ancresse. The first industrial knitting machine was brought to the Island in 1964, but the neck, gusset and collar were still knitted by hand finishers working in their own homes. By the late 1970s Le Tricoteur and Co Ltd employed sixty to seventy people in their factory and 400 hand finishers. At that time several thousand “Guernseys” were being made in the Island every week, mostly for export. 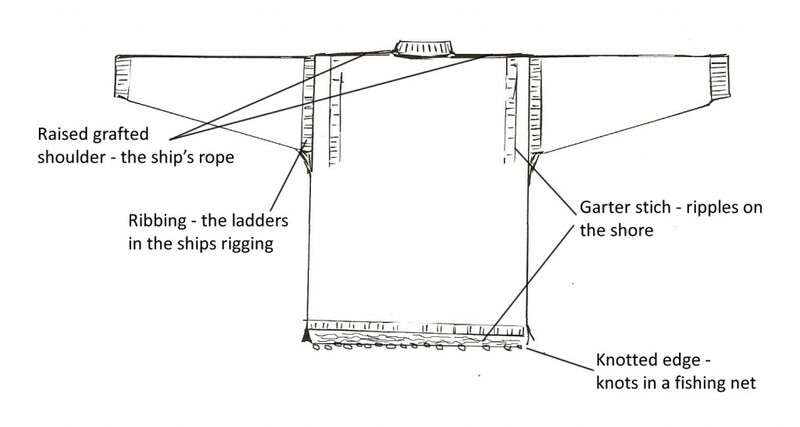 English worsted wool has always been used to make “Guernseys”. British sheep have to survive the rigours of the British elements and grow a tough weather-resistant fleece compared with the softer “colonial” wools from Australia and New Zealand. The long fibres are combed parallel before spinning and then twisted hard, giving the “Guernsey” its smooth, hard-wearing finish. The original fisherman’s version was probably knitted in unscoured, greasy wool which was water-repellant. The garments were probably never washed as this would remove the grease. In these hygienic times all “Guernseys” are made of scoured wool so that they can be washed. Variations do occur, but this is probably due to embellishments by individual knitters, rather than any strictly defined parish pattern.